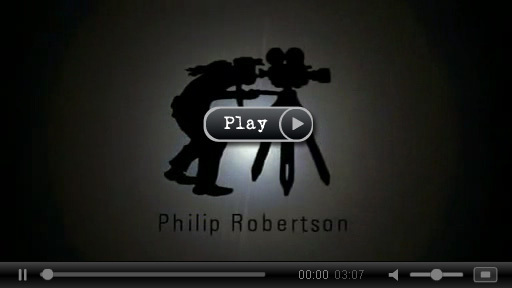 Philip Robertson - Scottish born cameraman who trained at the Russian State Institute of Cinematography in Moscow and is a graduate of the Northern Film School. With an impressive international body of work ranging from Feature Films to TV Drama and Commercials. He has won two prestigious Kodak Vision awards for cinematography, one for his first feature "Beyond the Ocean" (2000), the other for the critically acclaimed "Frozen" (2005). NEWS - "You And I" went on general release in Russia and America . "Rokland" has been nominated for four Eddas (Icelandic Oscars), one for best Cinematography and will be screened at the Berlin Film Festival . Robertson has been busy shooting films and television , his most recent released project Werewolf The Beast Among Us for Universal Studios is available in the UK. Most recently a film which Robertson photographed called "Shok" which was shot in Kosovo has received an OSCAR Nominated for Best Live Action Short Film.